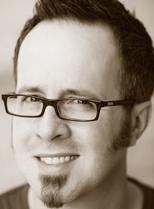 whurley is a leading authority on open source, open innovation, and augmented reality. He is the founder of whurleyvision, L.L.C., an augmented reality consultancy focusing on the conception, design, engineering, implementation, and promotion of augmented reality projects. A frequent public speaker, he was named a Master Inventor by IBM. He has also received numerous other awards, including an IBM Pervasive Computing Award and an Apple Computer Design Award. In 2008, he was named one of the "Top Leaders in Open-Source Business" by LinuxWorld magazine.